There are 8 prefectures don't face to the sea among 47 prefectures in Japan. Nagano prefecture is one of those. Salt was necessary to their life because Nagano prefecture is far from the sea until transportation was developed. That's why there are many foods without salt. "Sunki Duke" is a typical of those. 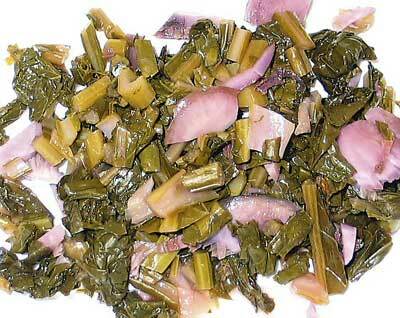 "Sunki Duke" is Japanese pickled vegetables but it was not used with salt. It has an acid taste and racy flavor. It's a traditional fermented food in Kiso area of Nagano prefecture. Recently, the health effect of "Sunki Duke" is emerged. We visit to the leader of local resorce laboratory in Kiso "Hisako Yasui" studies "Sunki Duke"(a doctor of agriculture). She said "Sunki Duke was made by lactic acid bacterium fermentation from fruit trees in mountain. Every family adds freezed or freezing-dried Sunki Duke which was made last year to boiled stums and leaves of red turnip." Keeping studying, she found Sunki Duke has antiallergic action. "Sunki Duke contains lactic acid bacterium to reduce the production of IgE which is cause to be allergic disease. Giving mouse lactic acid bacterium of Sunki Duke, we were sure that it relieves allergy"
She also experimented with mouse to have loose bowels. She compared mice getting lactic acid bacterium of Sunki Duke and mice not doing. As a result, 80% of mice not doing had loose bowels, on the other hand, only 40% of mice getting lactic acid bacterium of Sunki Duke did. She said that according to experiments on animals, the production of IgE reduces. Through the conversion to human, getting about 100 mg lactic acid bacterium of Sunki Duke a day will make us relieve allergy. In addition, lactic acid bacterium of Sunki Duke helps the absorption of isoflavone. For example, soy milk contains a lot of isoflavone. Isoflavone is one of a class of flavonoid have effects to prevent osteoporosis and cancer. Now, we are inventing lactic fermented soy milk made by lactic acid bacterium of Sunki Duke.